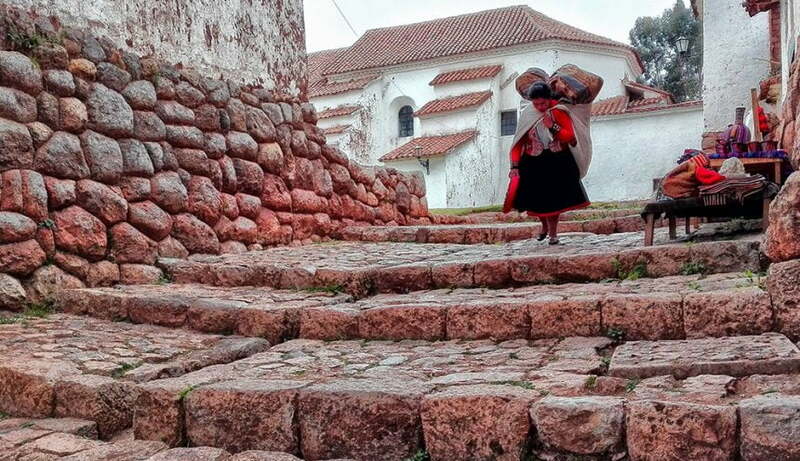 Discover the origins of coffee on the way to the ancient city of the Incas! Taste the essence of coffee while trekking to Machu Picchu! There are many ways to reach the famous Inca ruins in Machu Picchu. With this package you are getting the chance to combine your visit to this iconic destination with trekking, rafting, and a wonderful coffee farm tour. You will also get one additional day do discover the most spectacular spots near Cusco, on the road to the Machu Picchu. You can experience it all in just 4 days! 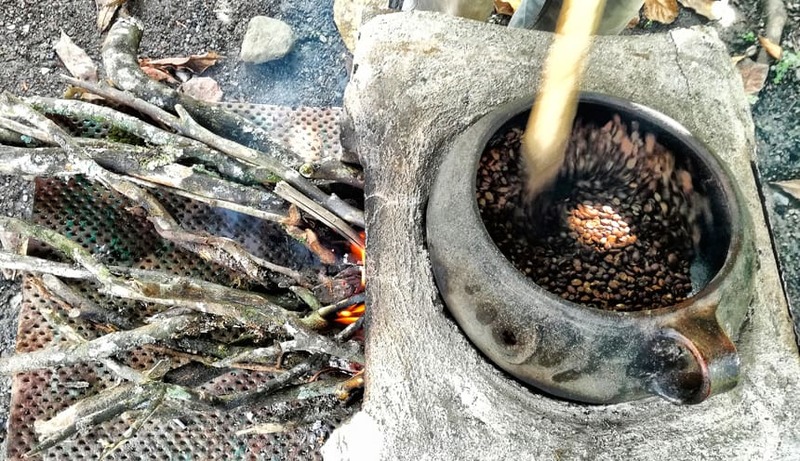 Our Coffee Farm Tour offers you a 4-hour long coffee tour, during which you will be learning about the coffee production process and even get the opportunity to make your own coffee! This family friendly tour was created for people with different traveling styles. It is very accessible and includes two easy treks done in one day which take about 3 hours each (6 hours in total). Please note that the first trek is actually optional, if anyone does not want to take part in it, they can instead, travel by private car. 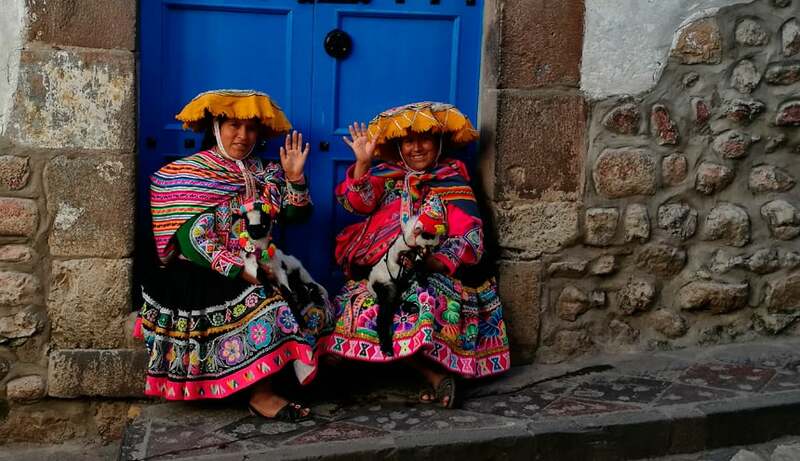 Note: The tour includes a homestay at a local family house on the coffee plantation (1 night), giving you the chance to experience what life in the high jungle is like in the Cusco region. Conditions at local family houses are always very basic, most of them do not include private bathrooms and they often do not have hot water. On the road from the Coffee Plantation near Santa Maria to the town of Aguas Calientes there are no hotels available; however, there are local hostels. This 1 day excursion is definitely more than your average tour. It is an awesome, unforgettable adventure with a diverse range of activities which will make you feel excited and alive! 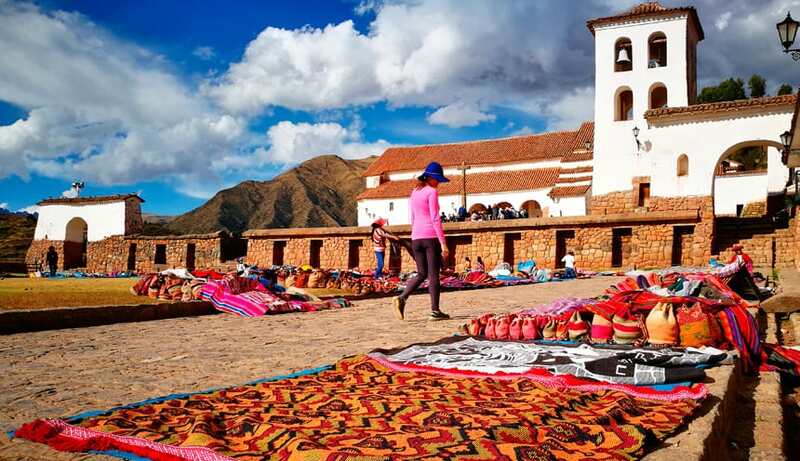 On this day, be prepared to explore the Inca archeological sites located near Cusco, unique salt mines in Maras, and the mystical agricultural Inca terraces of Moray. You will also learn interesting facts about local textile handcrafting and meet members of the local community. You will definitely be surprised at how many things there are to do and explore in just one day and even more at how much of a rich experience about history, culture and tradition you will enjoy! We will start the day at 6:30 am in Cusco. 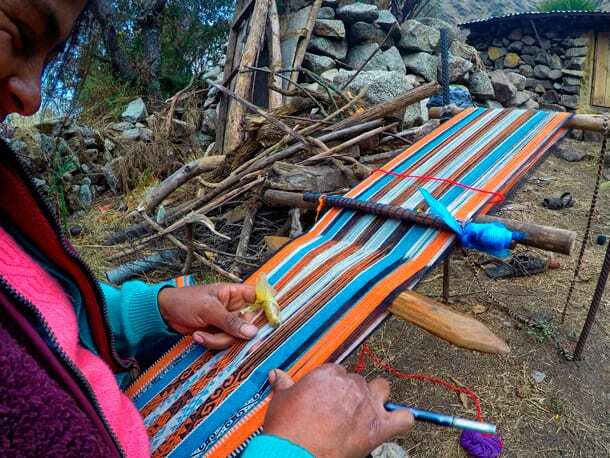 It will take around 1 hour by private car to reach our first spot, Chinchero, where we will visit the Inca ruins and watch a workshop about the local textile handcrafting. After Chinchero, our journey continues by exploring the archaeological site of Moray, which contains unusual Inca ruins consisting of several enormous, circular terraces. From Moray, we will then carry on to our next destination, Maras. 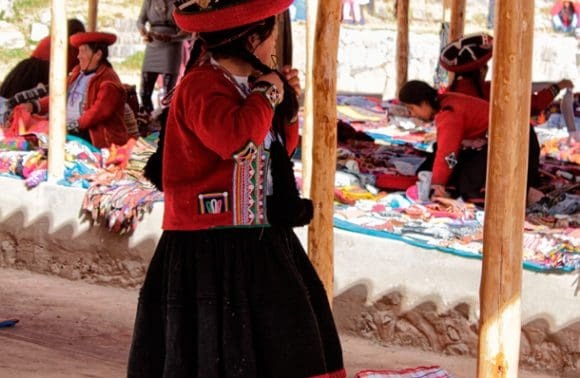 There, we will learn about the production of the popular Andean beverage, chicha de Jora (corn beer), and take some time to stroll through the truly beautiful streets of this Andean settlement. After Maras, our group will head to the incredible salt ponds, Salineras de Maras, which have been in use since the Inca era. We will walk there by following an easy and relaxing 1 hour-long trail during which, we will have spectacular sights of the Cordillera Urubamba. Once arrived at the salt mines, we will have the chance to walk through the salt ponds, surrounded by more than 3000 of them, learning about the salt production, and see how Inca practices and traditions are still employed today. We will get to Ollantaytambo at approximately 3:00 pm. 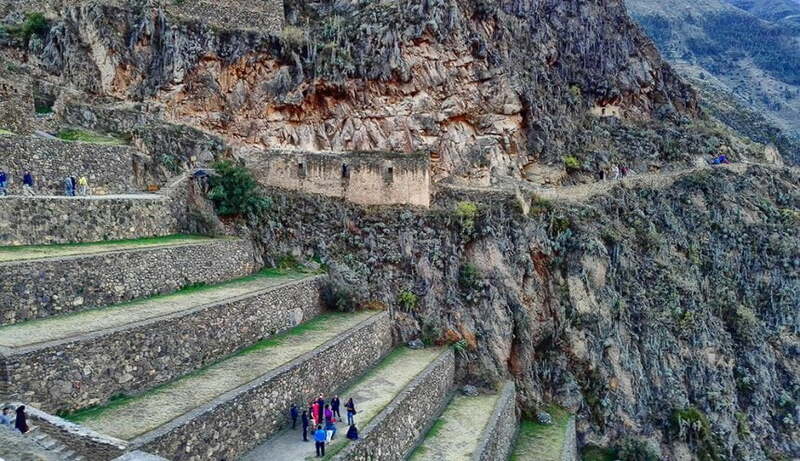 There we will explore the last Inca site of the day, Ollantaytambo´s ruins. They were built in the shape of a Lama and are some of the most impressive in the region. 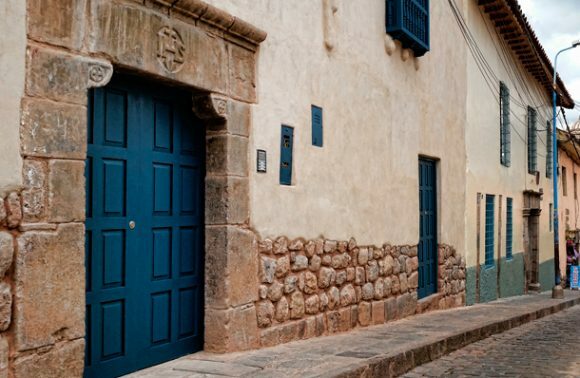 The beautiful aspect of the sites that we visit on this day is that they all differ greatly from each other, giving us a great overview of the varying styles of the ancient Inca architecture. After a short walk around the ruins and a stroll through the most spectacular parts of the town, we will get some time to discover the evening life of Ollantaytambo from around 5:00 pm. Day 2 will start with a 6:00 am breakfast. We can expect to hit the road at 6:30 am and drive for approx. 3 hours to a local coffee plantation located in the high jungle. 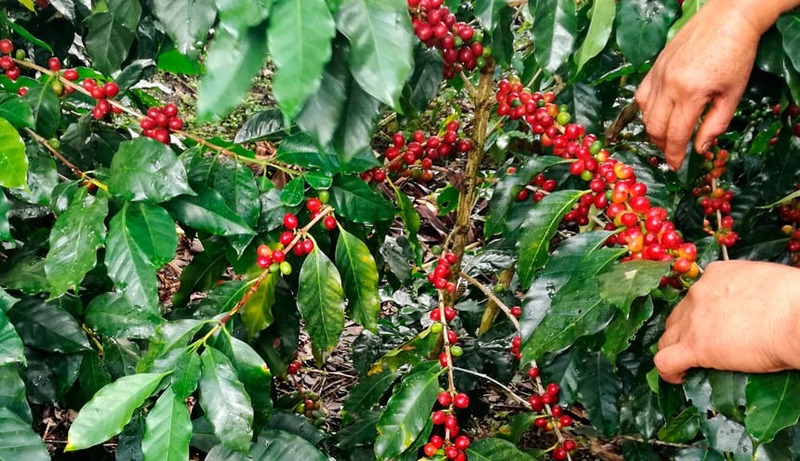 This is an amazing opportunity to have a real insight into the secrets of small-scale coffee production in Peru, where only the highest quality Arabica beans are used. On the road to the coffee plantation, we will stop at the Abra Malaga Pass, the highest point of the day which is 14173 ft high (4320 m) above sea level. On that day, you will have the unique opportunity to experience two completely different climates: the hot and humid high jungle and the cold and dry, high Andes. After a caffeine-fuelled lunch at the coffee plantation, we will go for a walk through the jungle or, if prefer, you could be even more adventurous and go rafting on the Urubamba river. Rafting is an additional option which needs to be booked in advance and is not included in the tour price. We will start day 3 by having breakfast at 7:20 am. At around 8:00 am, we will by driven by private car for approximately 45 minutes to the starting point of the trail. The trek on day 3 will be divided in 2 parts. The first part takes us along the Inca trail, and will last approx. 3 -3.5 hour. After the first part of the trek, our group will have an opportunity to rest and relax in the thermal baths near the town of Santa Teresa. The second part of the trek will start in a place called Hydroelektrica and will take us to the town of Aguas Calientes – which is where we will start exploring the Machu Picchu from. This walk will take us about 2.5 -3 hours. Once in Aguas Calientes, we will get the evening free to explore the town and rest – keeping in mind that we have a very early start on the next day! 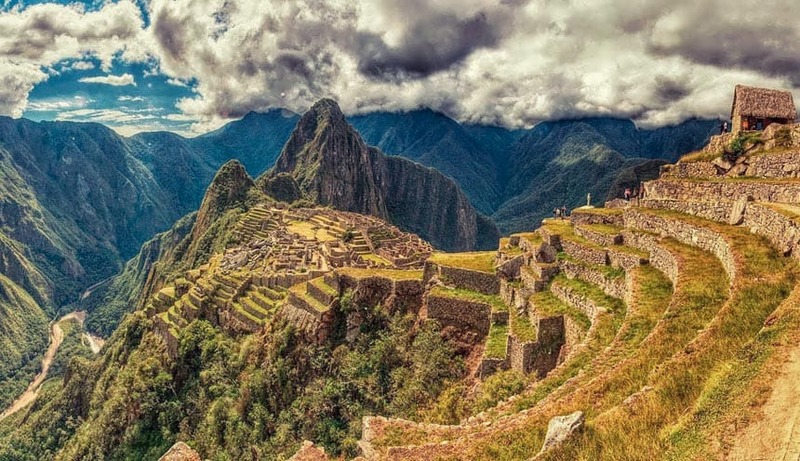 Day 4 will be dedicated to exploring the lost Inca city of Machu Picchu – Peru´s most famous site! There are many options available to you within the ruins. You can hike one of the two smallest peaks, Huayna Picchu or Machu Picchu Mountain, walk to the Sun Gate (Inti Punku) and/or the Inca bridge. We will start the Machu Picchu tour from Aguas Calientes, where our group will get an early morning bus to the site´s entrance (with this option, an additional fee for the bus ticket is required) or you can walk there (around 1-1.5-hour trek). 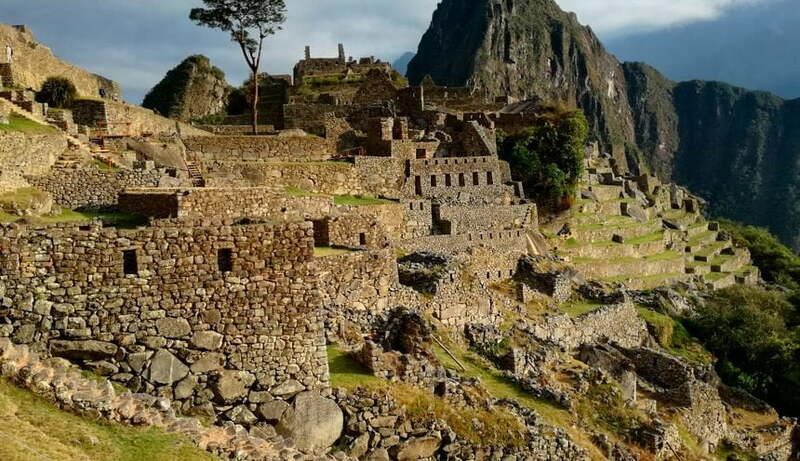 Once at the ruins, we will have a 2-hour guided tour, giving you an overview of the history and culture of the Inca Empire, as well as the spiritual, political and educational importance of the Machu Picchu. Once the tour ends, we will get time to explore the site on our own until about 5:00 pm (we can also leave earlier if you wish). After visiting the ruins, we will make our own way back to Aguas Calientes via bus (with this option, an additional fee for the bus ticket is required), or on foot (around a 1 – 1.5-hour trek). From Aguas Calientes, we will get a train to Ollantaytambo, where we are expected to arrive at around 8:20 pm. Once there, our bus will take us back to Cusco, where we should arrive around 10:30 pm. Your “Coffee Jungle Tour to Machu Picchu” tour will end this day in Cusco at Plaza San Francisco. If you would like to stay in the Cusco region or Peru longer and explore more, feel free to contact us. We are happy to modify our tours so that they meet your tastes and expectations.